Jamaican craftsmen used English Regency period furniture for style reference. 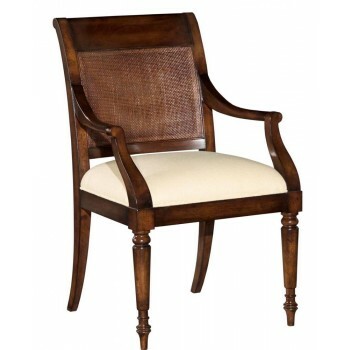 Shaped corner posts flank a cane back above an upholstered seat cushion. The chair is raised by turned legs.